Swell Of Goodwill For First Medicare Chief Confirmed Since 2004 : Shots - Health News Marilyn Tavenner, who has been running the Center for Medicare and Medicaid Services in an acting capacity since late 2011, has a big job. The agency oversees health coverage for more than 100 million Americans. Presenting Marilyn Tavenner, the first official official in charge of the Centers for Medicare and Medicaid Services in years. 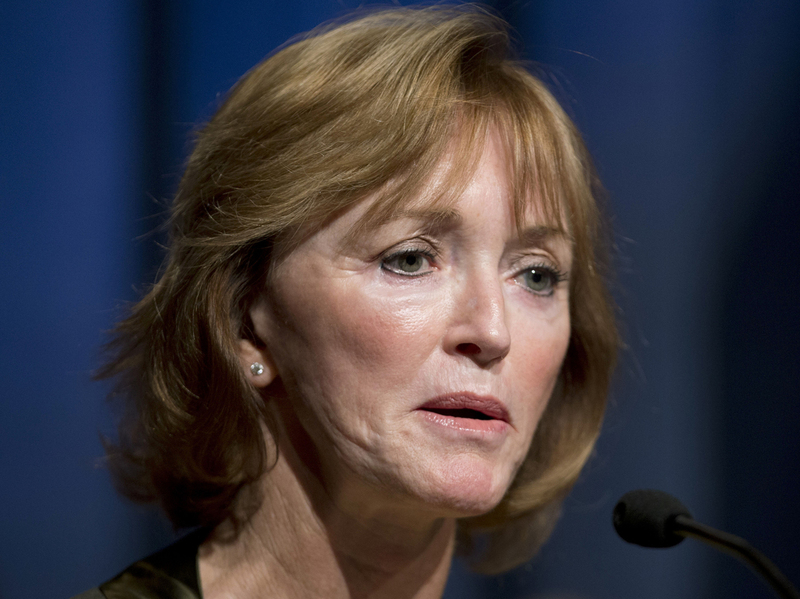 When the Senate voted Tuesday to make Marilyn Tavenner the official administrator of the Centers for Medicare and Medicaid Services, it was the first time the world's greatest deliberative body had approved someone to head the huge health agency since 2004. That's right, you have to go way back to the Bush administration to find Dr. Mark McClellan, the last person to be officially put in the post. Tavenner, who has been running the agency in an acting capacity since late 2011, has a big job. CMS oversees Medicare, Medicaid, and the Children's Health Insurance Plan, which together serve north of 100 million Americans and have a combined budget larger than the Defense Department's. CMS is also playing a major role in the implementation of the Affordable Care Act. The agency is in charge of the Medicare changes in the law, the creation of health exchanges and a significant expansion in Medicaid. She comes to the agency with a reservoir of good will that eluded two previous nominees for the job, Obama appointee Donald Berwick and Bush appointee Kerry Weems. Tavenner, a nurse, hospital executive, and one-time Virginia health secretary won the backing of House Majority Leader Eric Cantor, which made it safe for many Senate Republicans to support her. She also benefited from auspicious timing. Weems' nomination got caught up in the politics of the Children's Health Insurance Program renewal; Berwick's in the furious fight over the Affordable Care Act. Even McClellan's nomination was held up briefly because then Sen. Byron Dorgan, D-N.D., was irritated because McClellan, in his previous position as commissioner of the Food and Drug Administration, had opposed Dorgan's legislation allowing easier importation of cheaper prescription drugs from Canada and other industrialized nations. Tavenner also takes over just as the agency is getting some good news from the Congressional Budget Office. It seems that CBO is among the agencies now predicting a slowdown in health spending. The latest 10-year spending estimates for Medicare and Medicaid, according to CBO, are down some $225 billion ($138 billion for Medicare and $89 for Medicaid) from where they were in March 2010. Finally, of course, Tavenner takes the reins officially with a groundswell of goodwill from those whose economic future she now controls. Within moments of her confirmation, reporters' inboxes were flooded with congratulations and praise. "Her leadership, extensive experience and strong knowledge of the healthcare system are huge assets in tackling our nation's healthcare challenges moving forward," said Scott Serota, president and CEO of the Blue Cross/Blue Shield Association. Agreed Rich Umbdenstock, president and CEO of the American Hospital Association, "As acting administrator, Marilyn has demonstrated her willingness to listen to, learn from and work in partnership with the nation's health care providers." She better enjoy it now. It only gets harder from here.